This Curly Mixology recipe was submitted by NaturallyCurly member foxylilmimi. 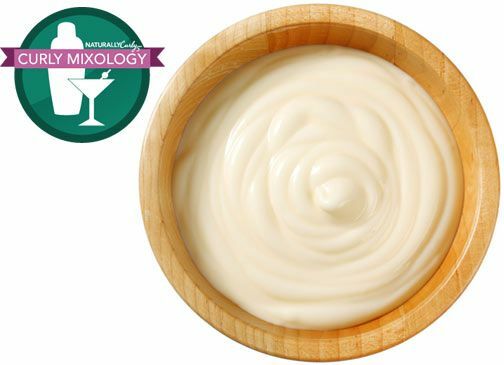 She uses this DIY twist-out cream on her Type 3c hair to keep her hair "ultra moisturized while still holding the style." This recipe has an all-star lineup of all our favorites curly ingredients. Boil flaxseeds into a gel and straining out the flax seeds, this will create your flaxseed gel. Keep your gel warm. Melt down the shea and cocoa butters and coconut oil to desired consistency. Pour the melted butters and oil into a bowl and mix together. Add in your favorite oils and stir the mixture until blended. Pour the mixture into containers while it is still in liquid-like consistency. Leave the containers uncovered til cool. Cover and store in cool dry place. To use your DIY cream, apply it to your hair in sections when doing a twist out and "you will still be able to feel moisture when you take it down!" says foxylilmimi. Share your own recipes with the curly community here.